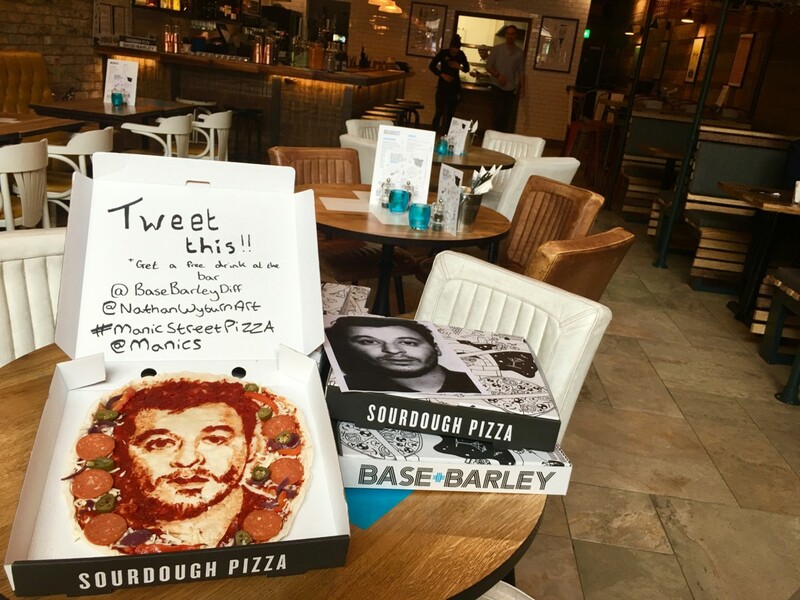 Base + Barley, a sourdough pizza and craft beer restaurant located on Queen Street, Cardiff, has collaborated with local artist Nathan Wyburn to create a unique Manic Street Preachers portrait made entirely from pizza. With May 2016 marking the 20th anniversary of the Manic Street Preachers’ epic album Everything Must Go, the Base + Barley team wanted to do something to celebrate the success of one of their favourite bands. In the spirit of rock and roll, however, they wanted to do something with a bit of flavour. Nathan Wyburn is a Cardiff-based artist who has been gaining wide recognition for his foody creations following his success on Britain’s Got Talent, high profile commissions for clients including The Guardian and the 2012 London Olympics, as well as the release of his book. Nathan teamed up with the restaurant to create a one-off masterpiece. 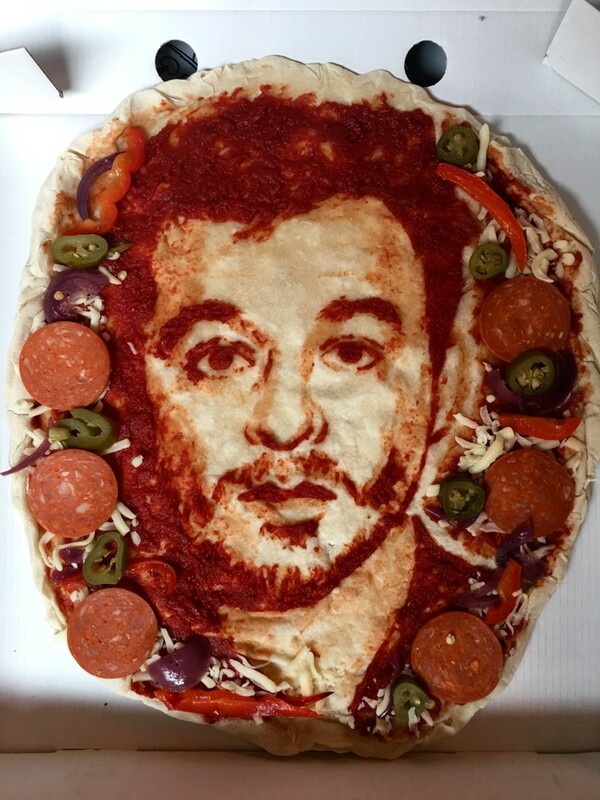 During an intense three-hour studio session at Base + Barley, Nathan used the restaurant’s signature sourdough base and fresh ingredients to create a portrait of James Dean Bradfield, creating quite the social media buzz. 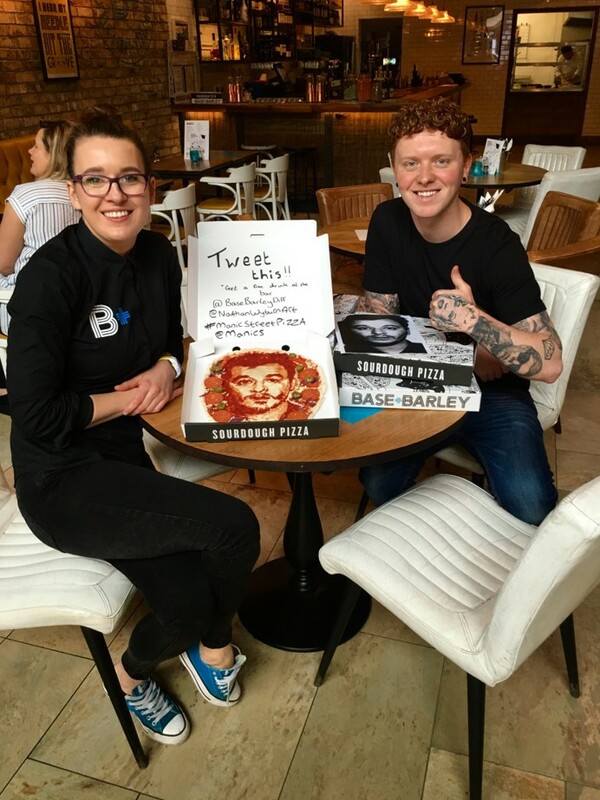 The Manic Street Pizza will be on display at Base + Barley until 21st of May. To see footage and photos of the portrait being created search for #manicstreetpizza on Twitter and Instagram.